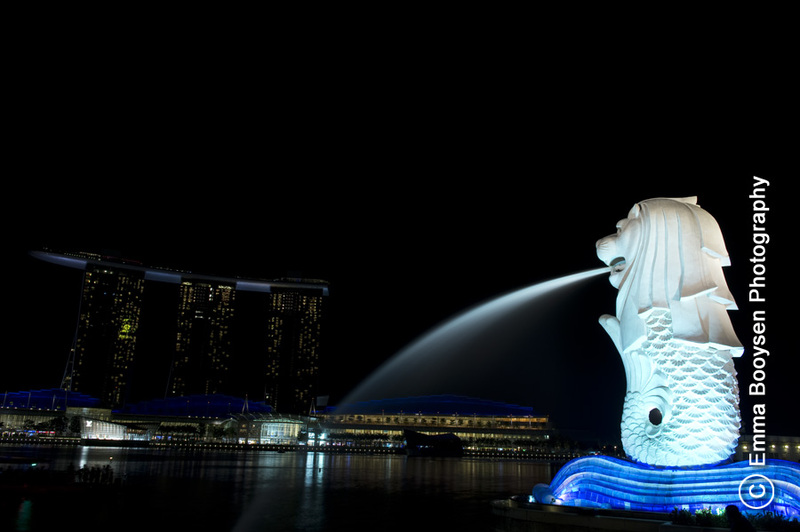 The Merlion is a mythical creature with the head of a lion and the body of a fish, used as a mascot and national personification of Singapore. Its name combines "mer" meaning the sea and "lion". The fish body represents Singapore’s origin as a fishing village when it was called Temasek, which means "sea town" in Javanese. The lion head represents Singapore’s original name — Singapura — meaning "lion city" (Wiki). In the background is Marina Bay Sands.